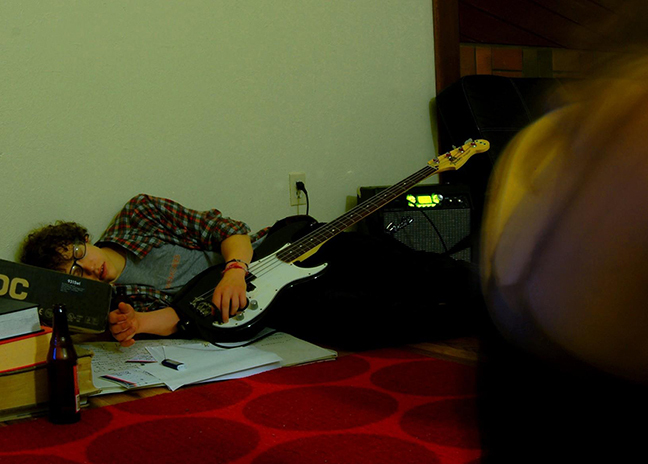 Matt Clifford rocked himself to sleep on the vibrating aura of a G-major scale. When he awoke, a book had been written. When it was excerpted, parts were published in the Nerve Lantern. Beholden. The rest can be acquired on the interwebs or via the author. Ask the machine: The RantoDance of Anonymous From Necropolis & His Machine. Ask the dreamer: mclifford (at) students (dot) naropa (dot) edu. Let Matt Clifford sing you to sleep. Let him count your crying sheep. Matt Clifford is a contributor to Nerve Lantern issues 6 & 7.